I know, I know. A company that raves about using paper products and physical goods writing about an app? Yes! If you’ve been up to date with the blogs on our site, you’ve seen all the talk about The Peony Planner. Well today, we are bringing you a few ways to use your planner digitally without compromising the joy of putting pen to paper. While doing my full planner review, I noticed on one of the pages mention of the company having an app. Although I am quite accustomed to grabbing a pen and paper before going into my notes and other apps on my phone, I still have a curiosity for technology. I downloaded the app and found that while their are similarities, there are also some differences. The physical planner has sections labeled “Good things about today” , “ What I’m grateful for” and “ What I hope for tomorrow”. The app seems to have those three merged into one section labeled “Today’s reflection”. “Meals” and “Exercises” are separate sections in the planner, however merged in the app. Unlike the planner, there is a “Rate yourself” section in the app for each day whereas the physical planner has self rating on the monthly reflection page found at the end of each month. The daily quotes are different in the app from those found in the planner. “Favorite quotes”section in the app which I find useful because there are quotes I love on my daily pages in the planner but, having somewhere to put them for future reference is awesome! “Today’s reading” is a daily uplifting blog style post on the app. Very refreshing! It’s one thing to use an app such as the calendar app preloaded on your phone or one of the many found in the App Store. It’s a greater experience using an app that is made by the same brand as your physical planner. When I’m on the go, making appointments and having to remember things to work on later, it’s nice to have something that feels like my planner that I can use until I can fill it in later. I also love the readings in the app that I can’t get in the planner. One thing that will get me in trouble with this app is the shopping feature. I already can’t get enough of The Happiness Planner website and having it right in my face everyday could mean more posts about their products…good for all The Paper Review readers. I highly recommend using this app with or without the physical planner. The Happiness Planner overall is a simplistic, chic and affective design that makes you want to grab it every single day. Thanks for reading and sharing! 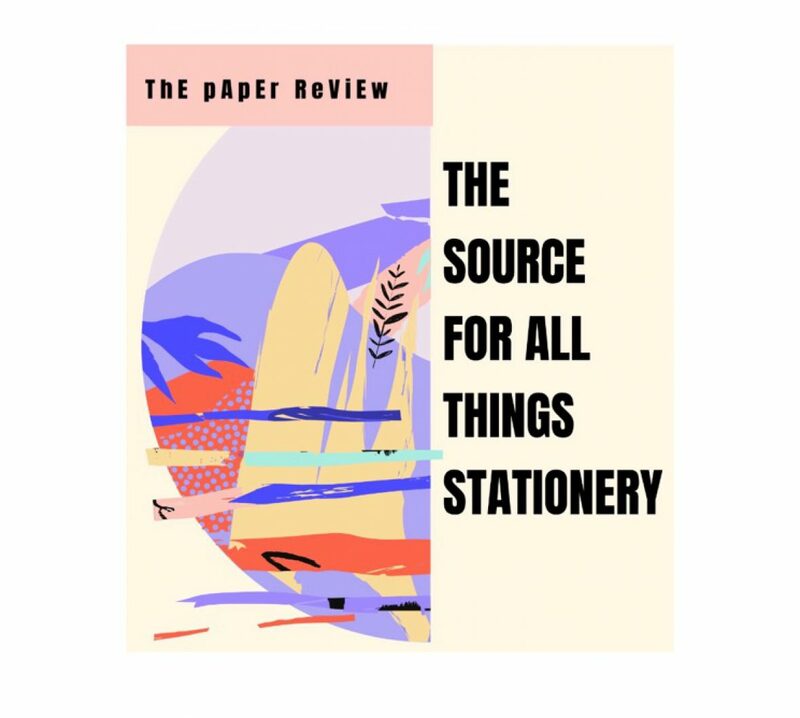 Be sure to subscribe to our list to stay up to date with posts on stationery trends, company interviews and reviews! Be sure to follow The Paper Review on Instagram and Twitter to keep up with giveaways and posts! Also be sure to shop The Happiness Planner to get your hands on some amazing products! *Disclaimer: This post contains a few affiliate links that allow The Paper Review to earn a small commission for each purchase made using our code. This post is in no way sponsored.